Arcadia Proserpine is a dragonkin Black Mistress who loves a master-slave relationship. She likes to take control of weaker beings with her whip, the Broken Vanity. In spite of this, Arcadia cares deeply for her closest friends. As the oldest member of the Glass Library inhabitants, she felt that she has a responsibility to take care of the other 3 people. Scherazard, Rhadamanthys, and Crimea treated her like their mother. Her favorite place to hang out in the Glass Library is the Marble Road. Arcadia is the preconcept of Kirsche. She is one of the inhabitant of Glass Library, along with Scherazard, Rhadamanthys, and Crimea. Arcadia's name were taken from an area name in Greek mythology. She is 177 cm tall and weighs 59 kg. This is Arcadia's best outfit so far, even compared to her SC4 and SC5 counterpart. I wish I could recreate this outfit in SC5, but tough luck. (For use with Japanese Voice) Arcadia is the preconcept of Kirsche. She was the love interest of Perseonn and also his big sister. Arcadia was dropped because of too many characters originating from the Balthasaar lineage. Other reasons that contribute to this are: Eurystheus is close to irreplaceable and Arcadia had the weakest background story. I tried to keep her main idea intact. For some reason, you cannot put stickers on that skirt, which is vexing since I want to recreate her SC3 skirt. Arcadia retains her bombshell appearance, along with a piercing look. 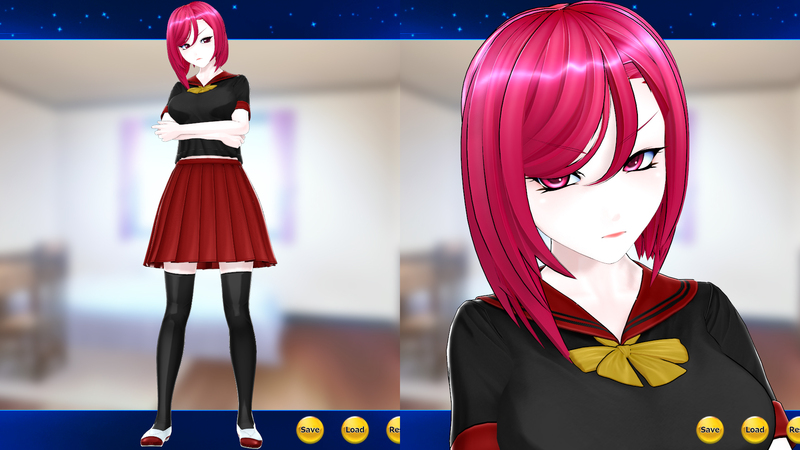 I really like her appearance here and gave her Chain & Sickle moveset, to emphasize her mistress personality. Changed her set because of the DLC restriction from 7E.